Route 66 in Albuquerque may make you think of many things. In addition to “those”things, “Route 66″is a shrub rose that can be spectacular in early spring. 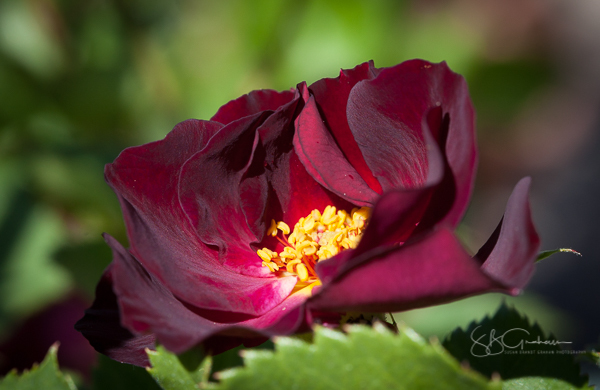 The color, when fresh, is dark mauve, and the bloom has bright golden stamens. Another plus for this rose is a fabulous scent. It blooms intermittently throughout the summer. It is at its most glorious at its first bloom. 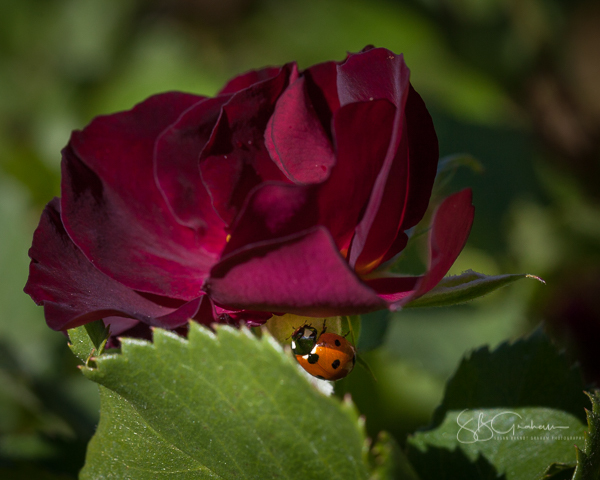 An added bonus here is a little Lady Bug.